Amid increasing quarrying projects that threaten to destroy the natural environment, residents have banded together to form a conservation network protecting mountains in Karen and Mon states. The Natural Mountain Conservation Network will work to conserve four mountains: Mi Kayin, Taung Kalay (Taung Kone) and Lun Nya mountains in Karen State and Min Lwin Mountain in Mon State, members said. 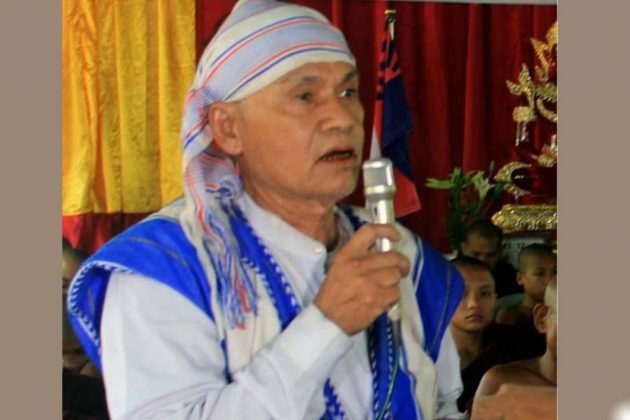 The new network’s chair, Saw San Tin, told Karen News on October 25 that the organization aims to protect mountains where Karen people reside. “Rock quarrying has been planned in all four mountains. That’s why we have established this network to prevent [more companies] from quarrying in our area,” he said. Several quarries have come under mounting local opposition as explosions from the work negatively impact the lives and livelihoods and area residents. After complaints from locals inspired a site visit, Karen State officials recommended earlier this month that mining activities be suspended on Taung Kalay Mountain. The Natural Mountain Conservation Network has divided responsibility for the mountain conservation among its members: chair Saw San Tin is responsible for Min Lwin, vice chair Saw Kyaw Hla for Mi Kayin, secretary Saw Hla Nge for Lun Nya and joint secretary Saw Zar Li for Taung Kalay. The network organizers say they will meet every two months for planning purposes. All four of the mountains to be preserved are made of limestone, a material commonly extracted for cement and used in road building.